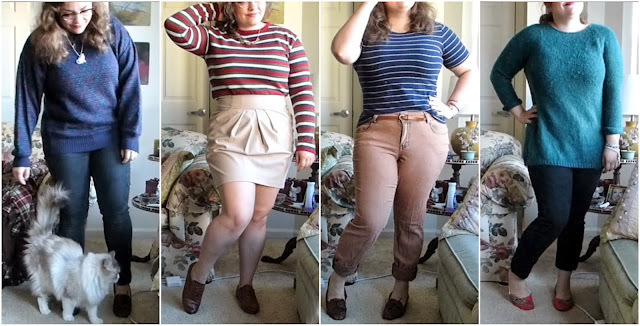 Thrift Thick: Another OOTW Video! Ahhh~ it's nice to have at least one constant in life; aside from coming home to a purr-happy Galileo at the door after a long day at school or work (or both... oofta), OOTW videos during the school year are another thing that I know I can count on pumping out for you all. As always I hope you enjoy! I love the fluffiness of Galileo :) He seems very sweet natured.